This is the official Fantasy Flight Games Grand Championship for X-wing. The swiss rounds will be broken up into 2 heats. Heat 1 will take place on Friday. Heat 2 will take place on Saturday. The top 32 players from each day will meet on Sunday to determine this year's Grand Champion for X-wing. Players may only register and play in only one heat. The X-Wing Era Battles Tournament seeks to capture the grandiosity of the pivotal conflicts of different eras in the Star Wars universe. Each matchup in this tournament will pit iconic enemies against each other: The Galactic Empire vs. The Rebellion, The Separatist Alliance vs. The Grand Republic, and The First Order vs. The Resistance. You have been chosen to represent your district in the X-wing “Hunger Games”. The goal is to be the last ship standing. There are no points for 2nd place. Your opponents will be everyone else on the table. Obstacles will be put forth by the game maker during the battle. Alliances are encouraged but how well do you really trust your allies? 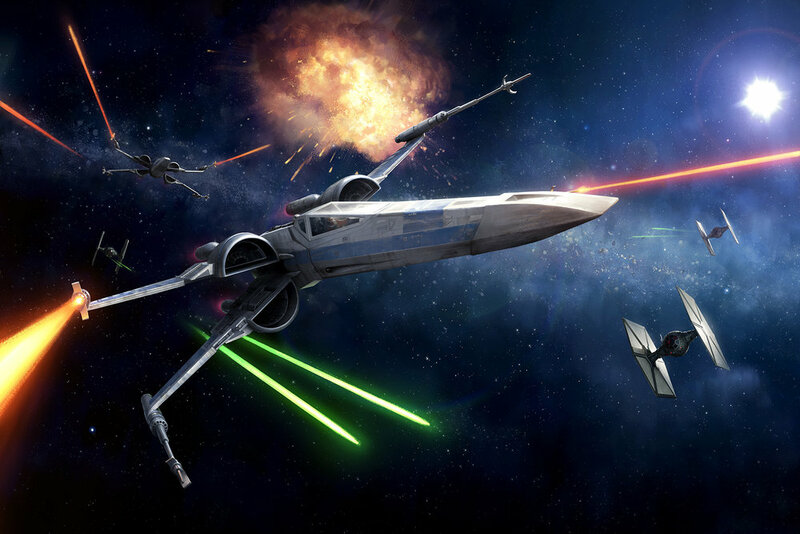 The X-Wing™ Onslaught Tournament is a fast-paced alternative to the standard tournament. It follows the same rules that you’re used to with a few minor changes. In this tournament you will play with a partner. Each round, players will be paired with a different partner and score points as a team. At the end of the tournament, the player with the most points will be declared the winner.